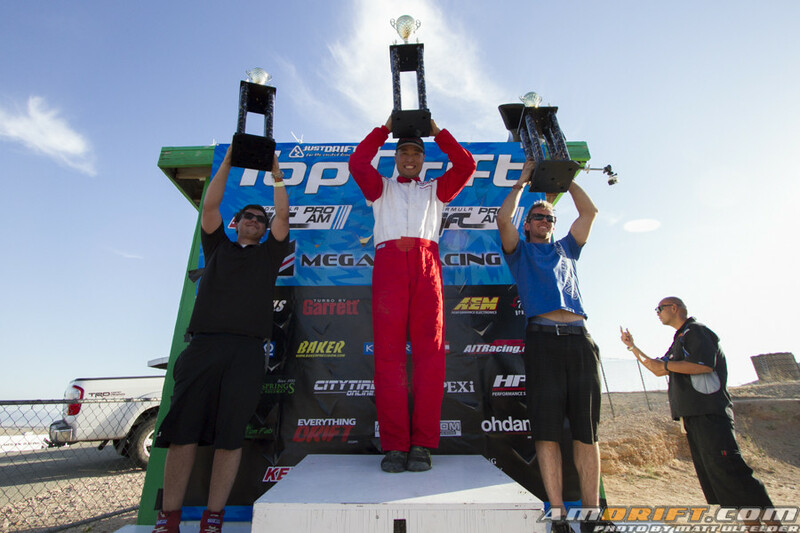 With all the crazy running around with Formula Drift and hitting Vegas ProAm every round, we were excited and felt a little refreshment when we kept it at home this past weekend with our home series, Top Drift at Willow Springs Raceway. Top Drift Round 2 on Horsethief Mile is likely the favorite round for regulars to drive, due to the track choice being extremely popular because of its fun and technical nature. It is however, not a beginner friendly track, so we knew drivers would have to drive hard and smart to advance into a winning position at this round. 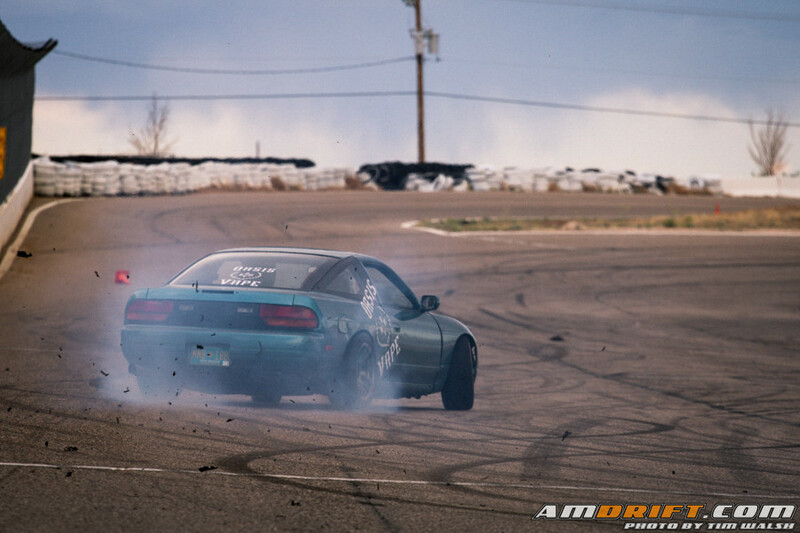 Motiva Speedway hosted the third round of the NM Drift Series in Albuquerque, New Mexico on May 24th. Drivers of all skill levels attended for seat time on the skid pad and main course, and for those wanting to go door-to-door the night ended with a random tandem competition with a cash prize for each battle rather than the traditional bracket structure. 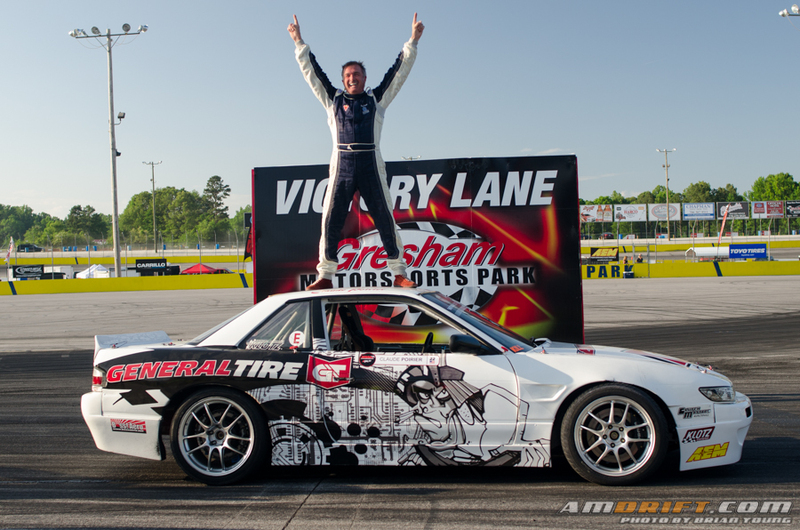 Streetwise Drift officially started their Pro-Am season at Gresham Motorsports Park just one day after the completion of Formula Drift Round 2 at Road Atlanta. The qualifying results of round 2 promised to make the evening of competition a great one. 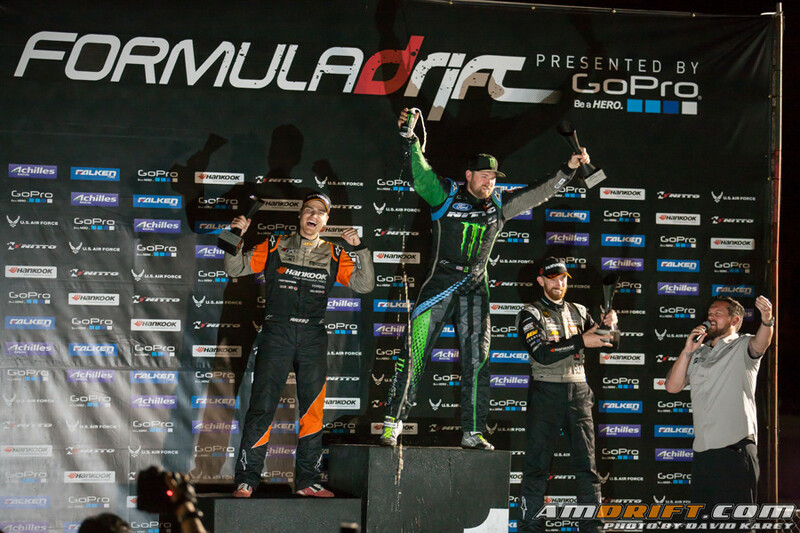 Between the weather conditions, change in track surface, and the level of competition this year, we knew it was going to be an incredible event… not to mention this is one of our favorite tracks on the Formula Drift circuit. Qualifying was wet. When we say wet, we mean probably the most rainfall that we have ever shot anything in. Being at Road Atlanta, which is a real race track with grass edges, the track quickly turned into an ice rink with spots of slick mud. In our opinion, a wet track really ruins competition drifting for us…not that it lacks skill to control a car in the wet, but because there is no smoke in the rain, and that’s half of what makes the sport fun! But, given the lack of dry conditions, it was interesting, sometimes hilarious, to watch the great Formula Drift drivers attempt to put together some good qualifying scores. When you come to Vegas for Vegas Drift, you expect it to be hot. While the weather wasn’t all that hot, it didn’t mean the drifting wasn’t! Spike Chen was looking for another podium, while Brandon Patterson was looking for another win. Here is the AmDrift Coverage of Vegas ProAm Round 3 at Las Vegas Motor Speedway.